The Original AquaBar was designed to fit standard bottles. However, we don't think the party should stop there. That's why we designed the custom bottle holder to accommodate any bottle you might choose for your party. The custom bottle holder fits securely in one AquaBar bottle slot. NOTE: Custom bottle holders ship within 2-4 weeks. Any time the weather is nice you can find us outside, not just outside but in the water. 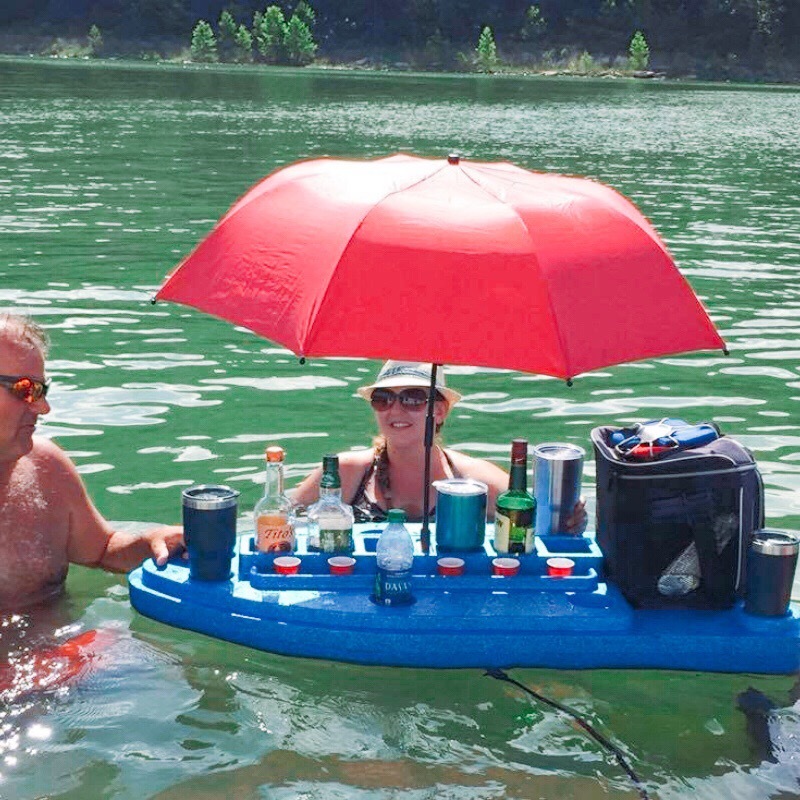 On the lake, in the pool, floating the river, if there's water...we're there. But there's a problem, we were constantly getting in and out of the pool or lake to refill drinks or grab snacks. You end up trekking water through the house, have the hassle of constantly getting in and out taking away from the experience. 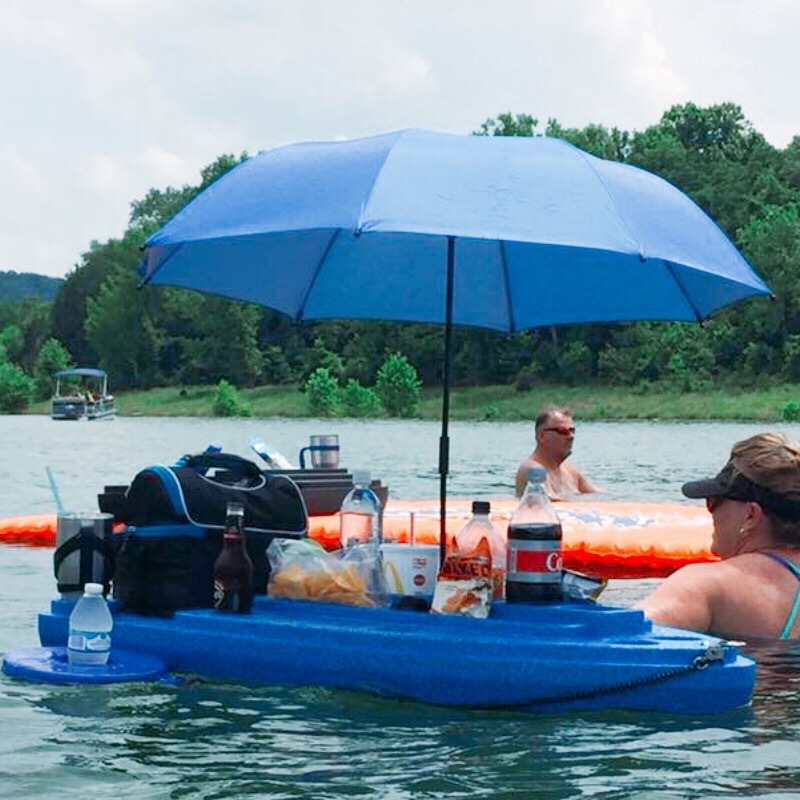 That's when we started to notice our friends holding the cups or bottles over their heads and even using the paddleboard to hold shots, but the shots kept falling off. Proudly invented, designed, and created in the great state of Tennessee, we are proud to say our product is Made in the USA. We didn't just want another pool floatie or lake toy. We wanted something we could (and want) to use time and time again where we could pour, mix, and enjoy our drinks and snacks all from one area. 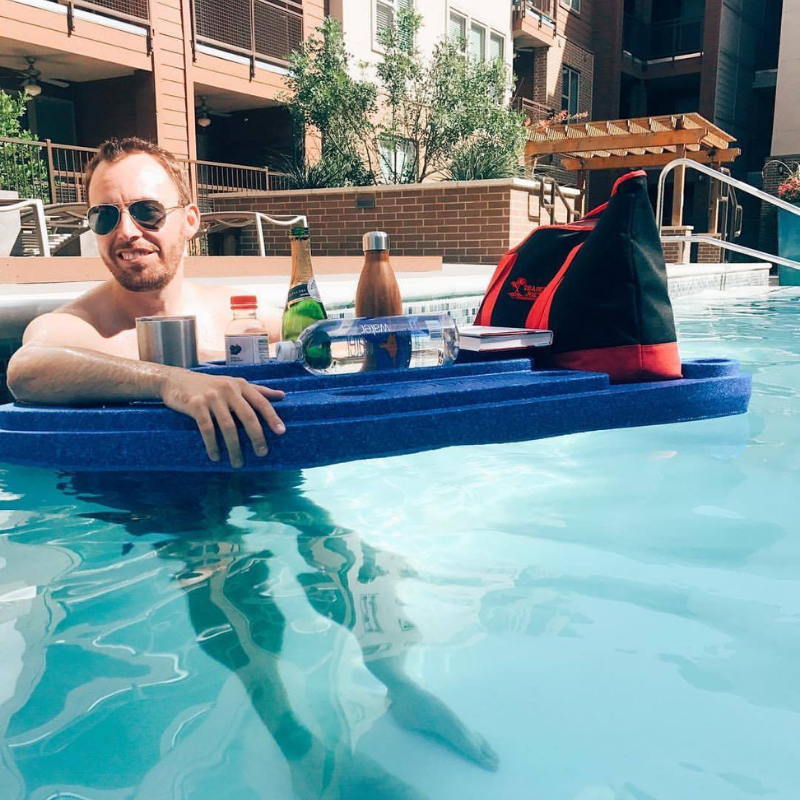 The Aqua Bar takes the hassle out of enjoying time in the water with friends and family. We have tested and perfected our Aqua Bar to withstand real life. It's for you, the boat owner, the pool goer, the suntanner, the pool partier. Some of our most cherished memories are those spent on the water. Take back those moments for yourself too. The AquaBar weighs in at under 10 pounds making it easy to transport. Made from EPP, the AquaBar can withstand impact without damage unlike inflatables. 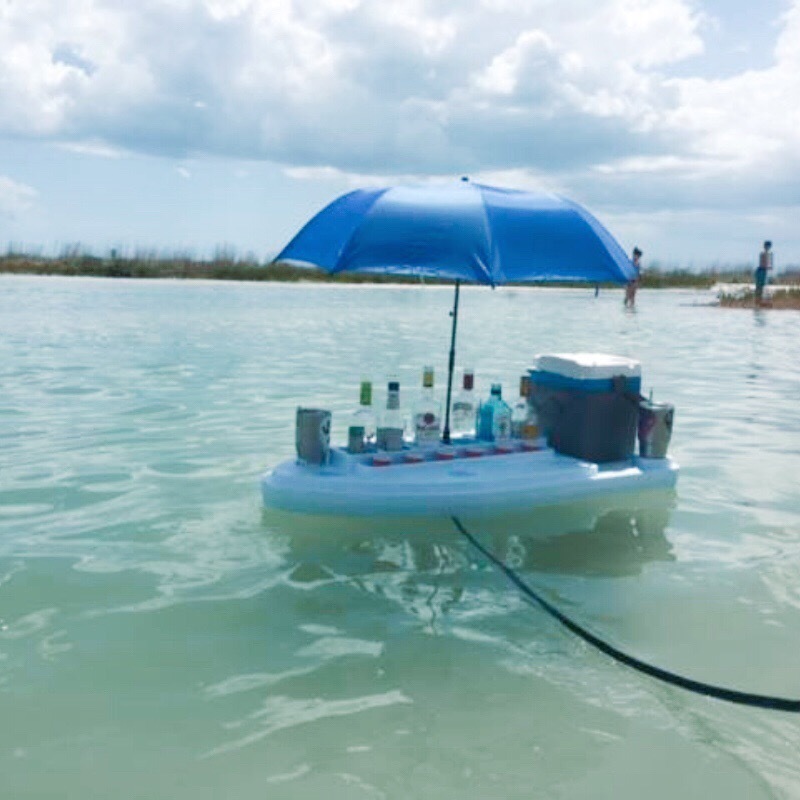 Our umbrella keeps your bar protected from the sun's UV rays. We're proud to say the AquaBar is eco-friendly and 100% recyclable. Crying over spilled drinks? Not anymore! 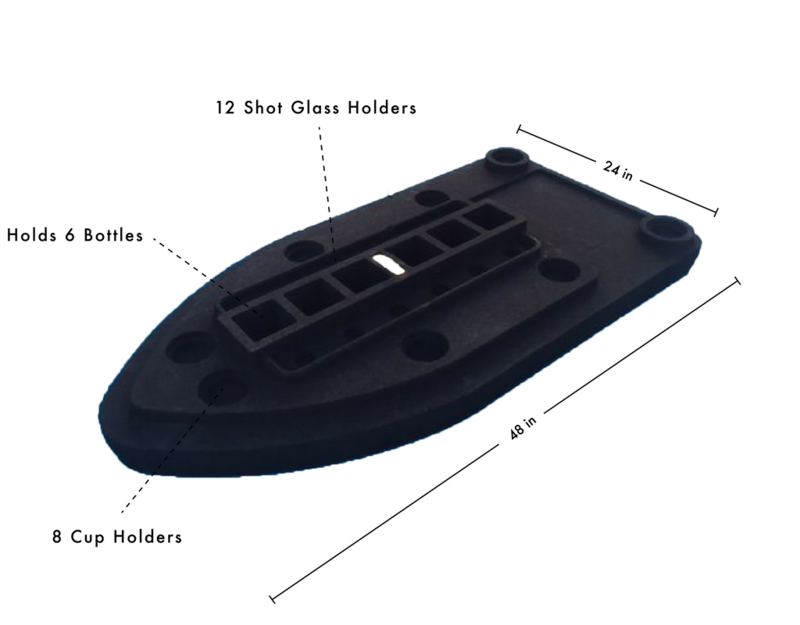 We specifically designed our cup holders to be deeper preventing your cup from tipping over. Trekking water through the house and getting in and out of the water for drinks is not a thing of the past.